The Euro Pound currency pair, denoted by the abbreviation EUR/GBP, is one of the more commonly traded pairs - it is ranked 8th among all the major currencies. This comes as no surprise as it represents a cross between the currencies of the United Kingdom and the Eurozone, which are the two largest economies in Europe. The pair is characterized with relatively low volatility because of the closeness and interdependence between these two economies. This means that factors influencing these economies have similar impact on the two economies and their currencies. Here is a EUR/GBP chart, to help you track the pair’s value and trends and analyze its behavior. 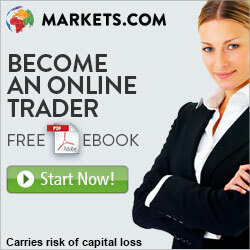 Most online forex trading services offer EUR GBP trading. You can trade the pair using various instruments. Binary options, vanilla options, CFDs and forward contracts are just some of the instruments that will allow you to trade the pair with a relative ease. These instruments offer flexible trade and allow you to leverage your initial investment amount. If you plan on trading the EURGBP, you should make sure you have a deep understanding of the economic factors which influence its value. To understand these factors, you should first know that the central bank in charge of the Euro is the European Central Bank (ECB) while the Pound Sterling comes under the jurisdiction of the Bank of England (BoE). Hence to cover all the bases, you need to keep track of all the news and announcements made by these 2 central banks. Any announcement made by them will definitely have an impact on the euro and pound sterling in the short term, hence will impact the EURGBP currency pair. Always check the economic calendar for any news releases concerning both the euro and British pound. To analyze the price movements of the Euro and British pound and be able to create a reasonable EUR GBP forecast, you should also pay close attention to the figures released for the balance of trade, inflation, the gross domestic product (GDP) and the monetary policies undertaken by the ECB and BoE. In addition to the above mentioned, you also need to look at the global geopolitical and other economic factors that could also cause a shift in investments in the British economy as well as in the Eurozone. Apart from looking at the fundamental factors which could affect the British economy and economies within the Eurozone, you also need to take into account the value of cross currencies such as the U.S dollar, Japanese yen and Swiss Franc. This is because in a globalized economy the value of the Major currency pairs, like EURUSD, are invariably tied to each other with some more than others. For example, if the value of the U.S dollars rises, this would make exports from the UK and Eurozone cheaper hence raising their competitiveness. So although in the short term the value of the Euro and the British pound will fall relatively to the U.S dollar, it is a different story for the medium term since the improved competitiveness will prompt a recovery in the economy and hence push the value of the both British pound and euro back up. Risk Warning: The information provided by eurogbp.co.uk, including but not limited to news, analyses, quotes and prices, may not always be accurate and is only offered as general commentary. It shouldn’t be regarded as and does not constitute investment advice. Eurogbp.co.uk, or anyone associated with it, including but not limited to its managers, employees and owners, may not be held responsible for any losses or loss of profit you might incur while using this information or as a result from it. Please be aware that trading the financial markets and specifically trading currencies on margin are extremely risky and are not suitable for everyone.